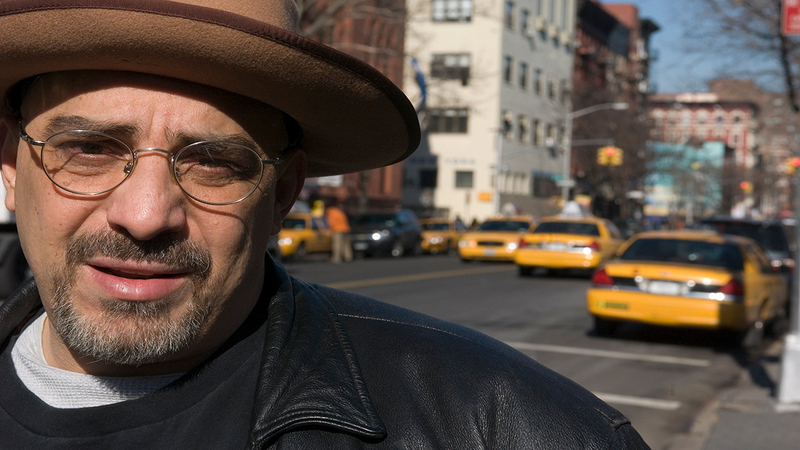 SCOTCH PLAINS, New Jersey -- Pat DiNizio, who as lead singer and songwriter for the New Jersey band the Smithereens blended pop, rock and New Wave music for such hits as "Blood and Roses" and "A Girl Like You," has died at age 62. The band announced on Facebook that DiNizio died Tuesday. The cause of death was not announced. DiNizio posted several days ago that he was hopeful of getting back on tour as he continued physical therapy for neck and back injuries at the Victorian farmhouse he was restoring in Scotch Plains. The Smithereens peaked in the late 1980s-early 1990s, but continued to tour and record, their more recent albums including "2011" and "The Smithereens Play Tommy," a tribute to the Who's rock opera. DiNizio also was a lifelong Beatles fan, awed and stunned as a boy the first time he heard "I Want to Hold Your Hand," and the band in 2007 released an album of Beatles covers "Meet the Smithereens." "Pat had the magic touch. He channeled the essence of joy and heartbreak into hook-laden three minute pop songs, infused with a lifelong passion for rock & roll," surviving band members said in their Facebook statement. "Our journey with Pat was long, storied and a hell of a lot of fun. We grew up together. Little did we know that we wouldn't grow old together." DiNizio helped form the Smithereens in 1980 after placing an ad looking for a drummer to help him on a demo tape. Dennis Diken responded and with him brought Carteret High School classmates guitarist Jim Babjak and bassist Mike Mesaros. They named themselves after a favorite word of cartoon character Yosemite Sam. Influenced by everyone from Buddy Holly to the Clash, the Smithereens blended catchy melodies and grinding guitars on "A Girl Like You," ''Only a Memory" and other songs. Their breakthrough came in 1986 when "Blood and Roses" was featured in the movie "Dangerously Close" and the song's video was aired on MTV. DiNizio was a movie fan whose stylish ballad "In a Lonely Place," featuring Suzanne Vega on backing vocals, included lines from the Humphrey Bogart movie of the same name. The Smithereens also made a cameo appearance in the 1980s cult film "Class of Nuke 'Em High."